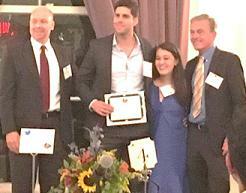 The Clinical and Translational Science Institute (CTSI) sponsored the 4th Pitt Innovation Challenge. This year’s challenge was focused on bold solutions in health. CTSI aims to move health-related research projects along the translational spectrum, not just to commercialization. Ideas and solutions did not need to be products ready for commercialization—basic science projects were encouraged to apply. In addition, the program encouraged new connections within the academic community, and among universities and community organizations, to foster an ecosystem of innovation. Description: Minimally invasive treatment for Barrett´s Esophagus causing disease regression and mitigation of cancer risk. Description: For those seeking better ways to treat and recover from nerve injuries, NeuroGel is an injectable solution that provides a simple and effective method for enhancing nerve reconstruction. 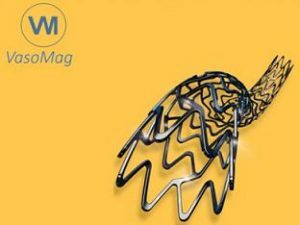 Description: VasoMag is a novel engineered biodegradable metallic vascular stent technology that provides superior mechanical support to open the narrowed vessels and maintain the needed patency while safely degrading in 6-12 months. S100 is normally present in cells derived from the neural crest (Neural crest cells are a transient, multipotent, migratory cell population unique to vertebrates that gives rise to a diverse cell lineage including melanocytes, craniofacial cartilage and bone, smooth muscle, peripheral and enteric* neurons and glia), chondrocytes, adipocytes, myoepithelial cells, macrophages, Langerhans cells, dendritic cells, and keratinocytes. It may be present in some breast epithelial cells. * The enteric nervous system (ENS) or intrinsic nervous system is one of the main divisions of the nervous system and consists of a mesh-like system of neurons that governs the function of the gastrointestinal system. Several members of the S-100 protein family are useful as markers for certain tumors and epidermal differentiation. It can be found in melanomas, 100% of schwannomas, 100% of neurofibromas (weaker than schwannomas), 50% of malignant peripheral nerve sheath tumors (may be weak and/or focal), paraganglioma stromal cells, histiocytoma and clear cell sarcomas. Further, S100 proteins are markers for inflammatory diseases and can mediate inflammation and act as antimicrobials. The Histology Lab at The McGowan Institute offers competitive pricing for IHC staining, including “working up” new protocols for Paraffin and Frozen sections. We have S100 already up and running and will waive the work up fee for the month of October! Bring your slides, blocks, frozen or fixed tissue to the histology lab for S100 staining. You are guaranteed beautiful results. Contact Lori at the McGowan Core Histology Lab by email or call 412-624-5265. As always, you will receive the highest quality histology in the quickest turn-around time. 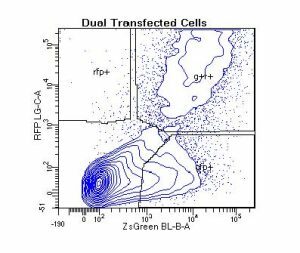 Over the past months the work from several investigators utilizing the McGowan Institute Flow Cytometry Facility has been highlighted. Many of the researchers are from the McGowan Institute, but they also hail from many different departments within the University of Pittsburgh and UPMC including the Magee-Women’s Research Institute, Microbiology and Molecular Genetics, Cellular and Molecular Engineering, the Department of Physical Medicine and Rehabilitation, as well as the Medical Devices Laboratory. Cell types range from the traditional immortal cell lines and white blood cells to small spiny neurons, spermatogonial stem cells, muscle stem cells, human fetal liver cells, human and mouse bone marrow cells, pericytes, astrocytes, tissue resident macrophages, and many others. Sample species include human, non-human primate, mouse, rat, pig, and even lizard! 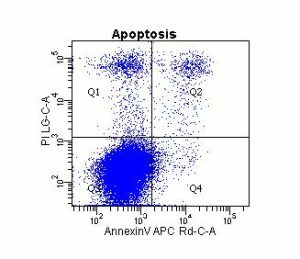 If species-specific, cell-specific monoclonal antibodies are available – your cells can be analyzed by flow cytometry. And, flow applications are not limited to cell surface antigen characterization and cell purification. Other applications include apoptosis via caspase function, TUNEL assay and/or annexin staining, mitochondrial function, autophagy, DNA ploidy, proliferation, transcription factor analysis, cytotoxicity, screening for transfection efficiency, enzyme activation state, intracellular presence of cytokines, cytokine quantitation via bead-based assays, and many, many others. Please stop by the McGowan Institute Flow Cytometry Facility, Suite 300, to discuss with Lynda Guzik, Facility Manager, how flow cytometry can enhance your research projects. This symposium features renowned researchers and clinicians focused on regenerative rehabilitation treatments and therapies. 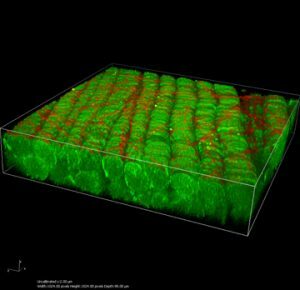 This emerging field translates discoveries in tissue engineering and cellular therapies into treatments that benefit the functional outcomes of patients. These stimulating innovative approaches are explored with meeting attendees. The symposium will be held on October 14-16, 2016 at Emory University in Atlanta, GA. This symposium encourages participation of scientists, clinicians and physical therapists that are in the fields of regeneration and / or physical medicine and rehabilitation. This gathering is a platform for bridging these two areas of expertise in a setting that fosters discussion, interaction, cross discipline pollination intersection and networking. PI Bryan Brown, PhD (Department of Bioengineering) and Elizabeth Stahl (Department of Pathology)Macrophage-Extracellular Matrix Interactions in the Aging Liver—The proposal investigates the role of the extracellular matrix in the changing of origin and functionality of macrophages which have been observed in the liver with age. 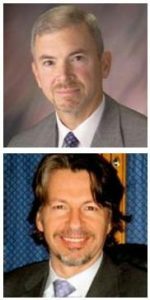 Potential of Human Induced Pluripotent Stem Cells in Studies of Progressive Intrahepatic Cholestasis—The goal of the proposed research is to understand the mechanisms that govern the incapacity of hepatocytes to secrete bile in progressive familial intrahepatic cholestasis (PFIC) disorders. This research will improve the understanding of low-gamma glutamyltransferase (GGT) PFIC by providing an optimal platform for modeling and recapitulating key aspects of the disease ultimately providing an opportunity discover insight into mechanisms underlying low-GGT PFIC and serve as a potential to develop and test disease specific novel therapeutics. Combining ultrasound energy and microbubbles to poke holes in cells may prove to be a new tool in the fight against cardiovascular disease and cancer, according to researchers from the University of Pittsburgh and UPMC. A study on this gene therapy approach, called sonoporation, appears in the Proceedings of the National Academy of Sciences (PNAS). 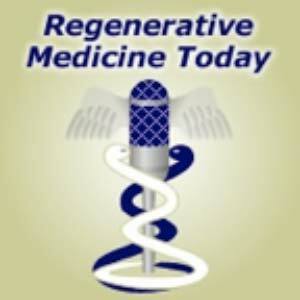 McGowan Institute for Regenerative Medicine affiliated faculty members Flordeliza Villanueva, MD, Professor of Medicine in the Division of Cardiology and Vice Chair for Pre-Clinical Research of the Department of Medicine, and Simon Watkins, PhD, Founder and Director of the Center for Biologic Imaging at the University of Pittsburgh, member of the Pittsburgh Cancer Institute, and also a Professor and Vice Chairman within the Department of Cell Biology, are co-authors on the study. Current approaches to gene therapy often use viruses to gain access inside cells, which can cause severe side-effects, including inflammatory immune system reactions. To address this, researchers have developed gene-loaded intravascular microbubbles that can be targeted to release their payloads by direct navigation of focused ultrasound energy. The Pitt researchers developed an ultrafast imaging camera capable of reaching speeds up to 25 million frames per second—the only one of its kind in North America. 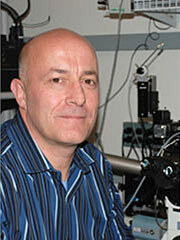 Using the camera, these researchers examined the biophysics of sonoporation. They determined that the oscillating bubbles need to generate a minimum amount of localized shear stress, beyond which cell membranes perforate and allow entry of a targeted therapeutic. Researchers believe the findings will help them understand how the process of sonoporation works, as well as how experts can tailor the approach, including ultrasound amplitude levels and microbubble designs, toward its eventual clinical use. Illustration: Fluorescently labeled endothelial cell monolayer, pseudocolorized in blue/green, and imaged using spectral confocal microscopy. 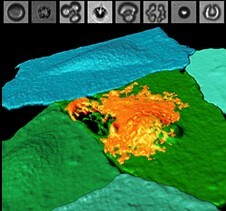 One cell has been selectively perforated via ultrasound-induced microbubble cavitation (simultaneously captured by ultrafast imaging, top panels), allowing the entrance of a model therapeutic (orange). UPMC. 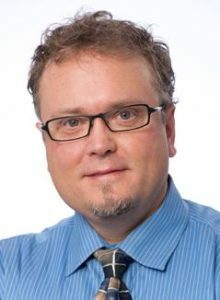 The microenvironment that supports a cancerous tumor also starves the immune cells that the body sends in to destroy the cancer, University of Pittsburgh Cancer Institute (UPCI) scientists revealed in a discovery that holds the potential to significantly boost the performance of breakthrough immunotherapy drugs. The UPCI team—including McGowan Institute for Regenerative Medicine affiliated faculty member Simon Watkins, PhD, Founder and Director of the Center for Biologic Imaging at the University of Pittsburgh, a member of the UPCI, and also a Professor (with tenure) and Vice Chairman within the Department of Cell Biology—showed that when immune T cells enter the tumor microenvironment, their mitochondria—which act as mini-factories inside cells, making energy and crucial reagents a cell needs to survive—begin to shrink and disappear, indicating that the T cell is out of fuel and can’t do its tumor-destroying job. The finding opens the door to several potential clinical approaches that could help keep T cells functioning and boost the body’s ability to fight cancer. As tumors grow, they build a microenvironment, which develops its own blood supply and keeps the tumor thriving, protected, and voraciously consuming all available nutrients. When T cells enter the microenvironment, it’s as if they’re “automobiles that suddenly had the emergency brake applied; they can’t keep driving,” explained Dr. Delgoffe. Immunotherapies, like those that target negative regulators on the T cell surface, take these brakes off. “However, what we’re discovering in many cases is that even though the brakes have been taken off, there isn’t any fuel in the tank,” Dr. Delgoffe said. Or—in scientific terms—the lack of mitochondria in the tumor-infiltrating T cells keeps them from functioning. “This is an exciting discovery because we already have various strategies to ‘fill the fuel tank’ and support T cell function in the tumor microenvironment,” said Dr. Delgoffe. In laboratory experiments and tests with mice, Dr. Delgoffe and his team found that when they boosted the mitochondria in the T cells, they were better able to clear the tumor. Dr. Delgoffe is partnering with other scientists to test various mitochondria-boosting strategies, including using drugs that already have proven safe in humans, such as those for type 2 diabetes, to stimulate T cell metabolism. He’s also working with existing immunotherapy studies to further modify the T cells so that their metabolism functions better in the tumor microenvironment. As additive manufacturing, or 3D printing, continues to advance in industry and academia, knowledge gaps can appear as researchers push the technology to new limits. To solve some of industry’s most difficult additive manufacturing problems, Oberg Industries and the University of Pittsburgh’s Swanson School of Engineering have partnered to combine Oberg expertise in manufacturing complex tooling and precision machined or stamped metal components with Pitt’s ANSYS Additive Manufacturing Research Laboratory (AMRL). McGowan Institute for Regenerative Medicine faculty member David Vorp, PhD, Associate Dean for Research, Swanson School of Engineering, William Kepler Whiteford Professor of Bioengineering, Director of the Center for Vascular Remodeling and Regeneration, Co-Director of the Center for Medical Innovation, and Director of the Vascular Bioengineering Laboratory, is a member of the Pitt team. Through the partnership with the Swanson School, for the next 2 years Oberg will have full-time employees on-site to manage technical excellence at the ANSYS AMRL. Dedicated in June 2016 at the Swanson School, the ANSYS AMRL is an additive manufacturing lab equipped with some of the most advanced additive manufacturing devices that utilize metals, alloys, polymers, and other materials to print components for nearly every industry. Oberg will promote the partnership to its customer partners to broaden corporate activity at Pitt while maintaining priority industrial access for its education, training, prototyping, testing, design, and production uses. Oberg and Pitt’s collaborative work in this area was initiated with funding from the federal government via America Makes (the National Additive Manufacturing Innovation Institute). Pitt’s research includes the development and testing of new tools to optimize the design and construction of manufactured parts to improve strength, lower weight, reduce overall costs, and improve sustainability of production. Since 2014, additive manufacturing researchers at the Swanson School have attracted more than $6 million in grants from America Makes, the National Energy Technology Laboratory, the National Science Foundation, and Research for Advanced Manufacturing in Pennsylvania. University of Pittsburgh School of Medicine researchers—including McGowan Institute for Regenerative Medicine affiliated faculty members Timothy Billiar, MD, George Vance Foster Endowed Professor and Chair in the Department of Surgery, and Derek Angus, MD, MPH, Distinguished Professor and the Mitchell P. Fink Endowed Chair of Critical Care Medicine—have demonstrated for the first time that changes over time in the volume of patients seen by trauma centers influence the likelihood of seriously injured patients living or dying. The findings, reported online and scheduled for an upcoming issue of the journal Annals of Surgery, mean that changes in patient volume across all affected centers should be considered when designating a new trauma center in a region. Dr. Brown and his colleagues examined records of nearly 840,000 seriously injured patients seen at 287 trauma centers between 2000 and 2012. The centers averaged 247 severely injured patients per year, and 90 percent of the cases involved blunt injury. The researchers compared the expected death rate for each center if everything involving each trauma patient’s care had gone perfectly to the center’s actual death rate. Each 1 percent increase in patient volume at a trauma center was associated with 73 percent better odds of a patient surviving. Conversely, each 1 percent decrease in volume was linked to a two-fold worsening in the odds of a patient surviving. Follow-up study will be needed to determine why patient volume is linked to patient outcomes, but the researchers suspect that as centers increase their number of patients, they also increase their resources, infrastructure, and experience. Although advances in care and diagnostics may be more readily adopted at higher-volume trauma centers, this alone did not explain the influence of trauma center volume changes on patient outcomes over time. The National Institutes of Health (NIH) appointed Anne M. Robertson, PhD, William Kepler Whiteford Professor of Engineering, Director of the Center for Faculty Excellence in the Department of Mechanical Engineering and Material Science at the University of Pittsburgh, and McGowan Institute for Regenerative Medicine affiliated faculty member, to the Neuroscience and Ophthalmic Imaging Technologies Study Section at the Center for Scientific Review. Dr. Robertson will serve a 4-year term as a NIH Reviewer from July 1, 2016 until June 30, 2020. Dr. Robertson’s research is focused on cerebral vascular disease and mechanobiology, and she directs a multi-institution program on cerebral aneurysm research. She is principal investigator on a current R01 and two multi PI R21 grants from the National Institutes of Health and has held visiting research professorships at universities, including the Polictecnico di Milano (Italy), the Bernouilli Center at the Swiss Federal Institute of Technology (EPFL, Switzerland), and RWTH University of Aachen (Germany). Dr. Robertson is Director and Founder of the newly formed Center for Faculty Excellence in the Swanson School of Engineering (SSOE). 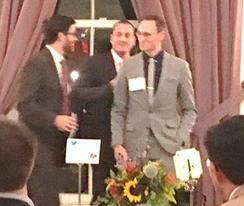 Congratulations to Luai Huleihel, PhD, who won the Stimulating Pittsburgh Research in Geroscience (SPRIG) Scholar’s Pilot Project Award for his project entitled, “The Role of Matrix-Bound Nanovesicles from Old and Young ECM Scaffolds upon Macrophage Polarization.” This Award is in the amount of $10,000/year for 2 years. Dr. Huleihel works in the laboratory of McGowan Institute for Regenerative Medicine Deputy Director Stephen Badylak, DVM, PhD, MD, Professor in the Department of Surgery and Director of the Center for Pre-Clinical Tissue Engineering within the Institute. Dr. Huleihel’s project is to identify MBVs embedded within old and young ECM scaffolds and their effect upon macrophage polarization, as well as to evaluate the effect of young and old ECM-microvesicles on the in vivo host response and remodeling potential in a rodent model of acute traumatic muscle injury. The objective of the SPRIG Scholars Program is to provide multi-faceted support for graduate students and post-doctoral fellows through the establishment of four activities. The specific immediate goals of this program are to increase attendance at monthly seminars, build stronger collaborative research teams, and provide an exceptional environment of training and mentoring with an eventual goal to procure a T32 training grant in the biology of aging. 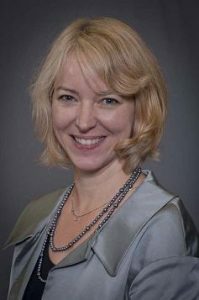 #163 –– Dr. Marie Billaud is a Research Assistant Professor in the Department of Cardiothoracic Surgery, University of Pittsburgh School of Medicine, and in the Thoracic Aortic Disease Research Lab of the McGowan Institute. Dr. Billaud discusses her research on thoracic aortic disease. This is a 3D reconstruction of muscle bundles (green) and collagen fibers (red) done on the multiphoton scope. This sample is from Dr. Fabrisia Ambrosio. OBJECTIVES/HYPOTHESIS: The trachea is essential to respiratory function and is a mechanically and biochemically complex composite tissue. Tissue-engineering approaches to treat tracheal diseases require detailed knowledge of the native mechanical and biochemical properties of the trachea. Although the porcine trachea represents an excellent preclinical model, relevant mechanical and biochemical composition are incompletely characterized. STUDY DESIGN: Experimental. The mechanical and biochemical properties of 12 intact porcine tracheas were determined to characterize their compliance, as well as the aggregate modulus, bidirectional elastic modulus, hydraulic permeability, and biochemical characteristics of individual cartilage rings. RESULTS: Data demonstrate the glycosaminoglycan content of tracheal rings was (mean ± standard deviation) 190 ± 49 μg/mg. Hydroxyproline content was 8.2 ± 3.2 μg/mg, and DNA content was 1.3 ± 0.27 μg/mg, a four-fold difference between circumferential elastic modulus (5.6 ± 2.0 megapascal [MPa]) and longitudinal composite elastic modulus (1.1 ± 0.7 MPa, P < 0.0001) was also observed. Aggregate modulus (stiffness) of porcine tracheal rings was 1.30 ± 0.28 MPa, and inflationary compliance was 0.00472 ± 0.00188 cmH2 O(-1) . CONCLUSION: This study presents a comprehensive characterization of the relevant biochemical and mechanical properties of porcine tracheal cartilage, which is considered an excellent candidate for xenogenic tracheal graft and a source for tissue-engineered tracheal reconstruction. The range of parameters characterized in this study agrees with those reported for hyaline cartilage of the airway in other species. These characteristics can be used as quantitative benchmarks for tissue-engineering approaches to treat tracheal disease. Source: Laryngoscope. 2016 Oct;126(10):E325-31. doi: 10.1002/lary.25861. Epub 2016 Jan 30. 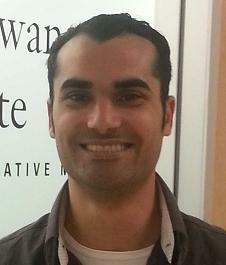 The goal of this research is to develop a series of interconnected models of therapeutic response in the diseased lung, focused primarily on cystic fibrosis (CF), that will ultimately provide a means for predicting in vivo response based on patient-specific in vitro testing, allowing for the optimization and personalization of therapies. Our center has an extensive history with the use of human bronchial epithelial (HBE) and more recently human nasal epithelial (HNE) cell cultures to study CF pathophysiology. We have also developed functional imaging biomarkers in the lung that provide organ level quantification of CF lung physiology (mucociliary clearance and airway liquid absorption). More recently we have developed in silico systems models of lung physiology at both the cell and organ level. The in silico models provide a framework of differential equations that describe how basic physiological processes interact and contribute to experimental outcomes. Their use allows these mechanisms to be more specifically differentiated. Here we propose to link in vitro and in vivo response by sampling and culturing human nasal epithelial (HNE) cell cultures from both non-CF and CF subjects who will also perform a series of physiological assessments, including functional imaging scans. Our in silico models will facilitate this linking of these models. We wil also retrospectively and prospectively survey clinical data from donors to determine which measures of cell and organ level physiology will predict the clinical course of CF lung disease. PUBLIC HEALTH RELEVANCE: When developing new medications for lung diseases like cystic fibrosis, we depend on lab experiments using cells from the airways, physiology studies of how the lungs change when a drug is given and clinical studies that determine how drugs affect overall health. We want to develop computer models that will let us link the results of these different kinds of studies so that we can better predict how patients will respond to drugs by just doing lab studies on cell samples from their noses. This will allow us to develop medications more raTimothy pidly for all patients and also to personalize treatments for individual patients as well. I order to develop these computer models we will perform a series of tests on patients who have CF. This will include sampling cells from the nose and measuring their lung physiology using a combination of different imaging, breathing, and other studies performed both before and after they take a therapy. We will perform similar tests on people who do not have CF, and also studies on the parents of our CF patients who carry a single CF gene because this will provide us with information on how specific genes might affect CF lung disease. We will also look at the long term health of the CF patients and see what measured values predicted whether they became sick of stayed healthy. We will use the first half of our data to produce the computer models and the second half of our data to test their predictive accuracy.